Clark Wendlandt won't be on the FLW Tour roster next year for the first time since 1996. A lot of well-established professional anglers have had to make tough decisions over the past several weeks as to which organization they'll fish with in 2019 and beyond. Clark Wendlandt, who could've picked any of the three, has opted to return to B.A.S.S. after a long, highly successful run on the FLW Tour. The 52-year-old Texan also could've gone with the upstart Bass Pro Tour, which will feature the majority of the anglers whose r�sum�s are comparable to his own. He was not among the original 80 BPT invitees, but received an offer after a handful of pros had declined their chance to join the new star-studded Major League Fishing circuit. He's long been known as a guy who takes the proverbial "high road" in most situations he encounters, whether in fishing or everyday life. Such was the case when he spoke this week about his decision � he didn't want to talk much about why he was leaving FLW or turning down the BPT, instead opting to focus on the positives he sees with the forcibly revamped Elite Series. "FLW has been like home to me for the last 20 years or however long, and that's where I was comfortable," he said. "I think those are good people and my best friend, Mike Surman, still fishes there. At first, everything was kind of leading to that. "I didn't get asked by BPT in the first round and everybody kind of knew that B.A.S.S. was going to reach out to some guys, but we didn't know how it was going to happen. I was perfectly content to stay where I was if that was the only option." "I'd already been asked by B.A.S.S. 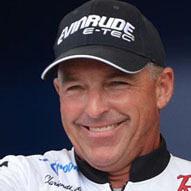 when those guys (BPT) extended an invitation," said the three-time FLW Tour Angler of the Year. "When B.A.S.S. decided to reach out I was one of the first ones they asked and I just felt like it would be best all the way around. I believe they're hungry after the big turnover they've had, they've got a great media presence and the payouts look good, but the field size was really the biggest reason I did it. "I've got nothing but the utmost respect for FLW and what they do, but fishing against 70 to 80 guys as opposed to 150 or 170 seems like a no-brainer to me. The other thing is I kind of feel like I'm getting in on the ground floor with B.A.S.S. � they're not totally starting over, but a lot of things will be new and they're going to want to be prominent in the marketplace as quickly as possible." Wendlandt, who launched his pro career with B.A.S.S. 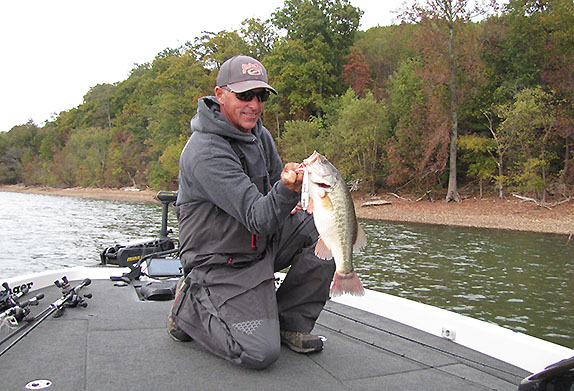 in the early 1990s and went on to qualify for four Bassmaster Classics, said he's looking forward to the greater sense of freedom that the smaller Elite Series roster will offer at each event. "When you're fishing against really large fields, you fish different," he said. "You fish a little more defensive and you're always kind of looking for something that nobody else is going to find instead of fishing what the actual best pattern is. "With a smaller field, you can do a little more of what you want to do instead of what the competition is allowing you to do. I've always fished pretty well by the seat of my pants and I love B.A.S.S.' no-info rules � you get to the lake and you have to figure things out for yourself. I may have the Internet (to use as a research tool) like everybody else, but no more than that. I like that idea." Several of the stops on next year's Elite schedule are completely unfamiliar to him, and that's another concept he likes. He'd prefer to visit multiple new venues every year and believes the smaller field might make that possible � bodies of water that aren't large enough to host a 150-boat derby might be easily able to handle roughly half that many competitors. He expects the competition on the circuit to be plenty stiff � even with far fewer big names than it had this year. "The youth movement in fishing is not going away � there's tons and tons of good young anglers out there," he said. "I'm going to have to fish as hard as I can and with the same intensity that they have to be able to compete. I'll get out there and mix it up and put everything I can into it. "When you think about it, this is a pretty small industry and none of us really know what the future holds. I only know that for next year and the few after that, B.A.S.S. is where I'll be. I'm looking forward to just fishing hard and seeing what happens." Rick Clunn - "When I first got into it, he inspired me." Lake Champlain (NY/VT) - "It's just an awesome place to fish, and I really like catching smallmouths." Father - "I admire the way he's lived his life. I thought he did a good job raising me, and I hope I can raise my kids as well." "I like to hunt deer." "I like the competitive aspect of tournament fishing. And I've always liked the outdoors, and trying to figure out how to catch fish."